Marine’s bet seems to be working as French voters begin to focus on the contours of what could be an unpredictable presidential election in May 2017. 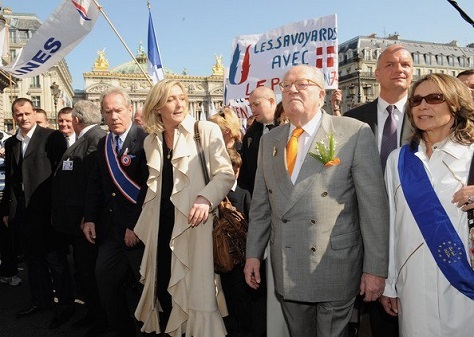 In IFOP’s latest August 2015 poll, Le Pen leads all contenders for the first-round vote, garnering 26% in a race against Hollande (20%) and former president Nicolas Sarkozy (24%), guaranteeing her a spot in a runoff against Sarkozy. Though her father made the runoff in the 2002 presidential election against then-president Jacques Chirac, Jean-Marie Le Pen only narrowly managed a second-place victory over the Socialist candidate, prime minister Lionel Jospin. When pitted against prime minister Manuel Valls, instead of Hollande, Le Pen still comes out on top — with 26% to 23% for Sarkozy and 22% for Valls. A Front national victory in a first-round vote, however, would be a far different matter, even if polls still show Sarkozy would defeat Le Pen in a second round. While Hollande himself hasn’t yet announced whether he will run for reelection (and has all but said he will not run if unemployment continues to rise), his massive unpopularity means that, for the first time in France’s Fifth Republic, an incumbent seeking reelection may be pushed out of a runoff. Taken together, a Le Pen first-round victory and Hollande’s elimination would be a jarring inflection point for French democracy — even if Le Pen is soundly defeated in the second round. Whether Le Pen wins a presidential victory in 2017 (or in 2022 or later), France’s notoriously narrow political elite will almost certainly have to confront the challenge that her movement represents. That’s true at the policy level, of course, but it’s also true in the more existential sense that Le Pen represents a challenge to the meritocratic oligarchy of France’s political class. In a country where nearly the entire political class has been fraternizing since their post-teenager days at École nationale d’administration (including Hollande and two of France’s past five presidents, foreign minister Laurent Fabius, finance minister Michel Sapin, economy minister Emmanuel Macron, ecology minister Ségolène Royal, European commissioner Pierre Moscovici and many, many others), Le Pen can paint herself as a plucky folk hero in the vein of Charles de Gaulle or Joan of Arc, as the moment suits her. On the left, Jean-Luc Mélenchon may also wage another battle for the presidency — as might former economy minister Arnaud Montebourg, whose presence in Hollande’s cabinet so angered the French business class that Hollande dismissed him in 2014. Mélenchon will vie for leftist votes that Hollande might otherwise compete to win. So will Montebourg, if he runs outside the ruling Socialist Party structure. Both politicians are close to Greece’s anti-austerity prime minister Alexis Tsipras and the outspoken former foreign finance minister Yanis Varoufakis. If they joined forced, especially in the kind of pan-leftist presidential primary that Montebourg is seeking, it could bring a radical, SYRIZA-style leftism back into the heart of French presidential politics. If two (or three) compete simultaneously, it will make it all the more difficult for a candidate of the left to advance to a runoff. Cécile Duflot, a former housing minister, and a one-time secretary of the French Greens, could also run, siphoning even more votes away from Hollande or Valls. Perennial presidential candidate François Bayrou, the leader of the centrist Mouvement démocrate (MoDem, Democratic Movement) could win another 10% of the first-round vote, according to polls, taking votes from both the center-left support of Hollande/Valls and the center-right support for Sarkozy. On the right, Sarkozy has tried to bring a semblance of unity to the center-right, after a bruising fight between Sarkozy’s former prime minister François Fillon and former party chair Jean-François Copé, and he’s now rebranded his party as Les Républicains (The Republicans). But Sarkozy faces his own series of legal troubles between now and 2017, and he will compete in a party primary against former foreign minister and Chirac-era prime minister Alain Juppé and possibly others, including Fillon. 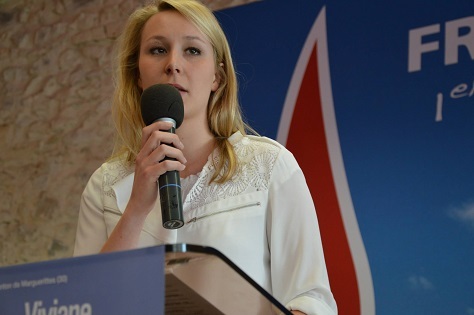 The breakdown of the center-right in the immediate aftermath of Sarkozy’s 2012 defeat, however, and pressure from the Le Pen-led far right, might fracture the freshly rechristened Républicains, giving Juppé or others a path to competing against Sarkozy directly in the first round. That would almost certainly guarantee Le Pen’s first-place finish.